I'm Adrienne Sutton. I'm a senior studying Math Education and I'm from from Gastonia, NC. The reason I wanted to become a Zeta is because I wanted to be a part of something that was bigger than myself. I was also attracted to Zeta because one of their principles is Finer Womanhood, which to me means to uplift and empower all women. During my time in this sorority I've learned what it means to put others before myself, gained many life-long friendships, and I have grown as both a woman and a leader. 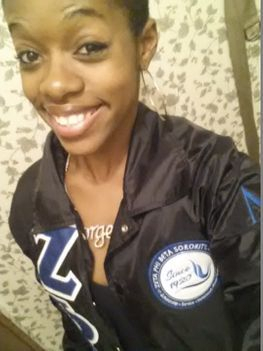 Becoming a member of Zeta Phi Beta Sorority, Inc. is definitely one of the best decisions I've made in college! Hey y'all! My name is Keyuna Patterson. I'm from the small town of Littleton, NC. Here at ECU I'm a senior majoring in Public Health with a concentration in worksite health promotion. I'm the treasurer of the Lambda Mu chapter for the 2015-2016 school year. Zeta was an obvious choice for me because the values, ideals, and national programs are things I truly believe in. I wanted to be a part of and organization that is well represented worldwide. I love the women of Zeta because they always go above and beyond in making a difference. Finer Womanhood has offered me various opportunities, memories and sisters that I'll cherish for a lifetime. Becoming a member of Zeta Phi Beta has been one of the best decisions I've ever made. Hi, my name is Chynna Foster. I am a Sophomore Communication concentration in Journalism major. Growing up in a household with mostly all boys my whole life I wanted to be apart of a sisterhood that supported each other and finds education as important as I do. Being apart of Zeta Phi Beta Sorority Incorporated has helped me become more organized and responsible as a student, that will go along with me forever. Being involved in service through out my community has taught me more than I ever imagine. These lessons are making me grow as a person and I will be forever grateful. Hey! My name is Desiree Jones. I am a current Junior and I major in Chemistry with a minor in biology. I chosed Zeta because it is everything I was looking for in an organization. I got to meet so many great people who i now call my sisters. I get to go out and help the community. I love helping people! And academics is taking very seriously with us which is a great thing. Also Zeta has made me a FINER woman. Hello! 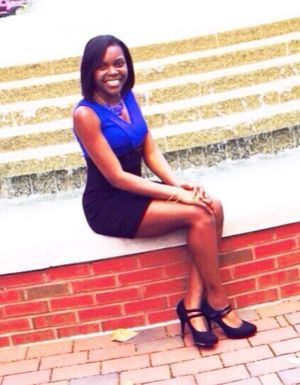 My name is Nakia Legette and I am sophomore here at ECU. Currently I am pursing a career in Middle Grades Education with a Concentration in Social Studies and Language Arts. I decided to become a Zeta because of one principle that is like no other. That principle was finer womanhood. Many young women in todays society strive to be a better women. To everyday attain new goals and determined to be a influence. To hear the way the Zeta's before me talked about being that leader, I knew it was my calling. Sisterhood , Scholarship and Service was already goals I knew well to describe me, but a Finer Woman is what I aspire to be. 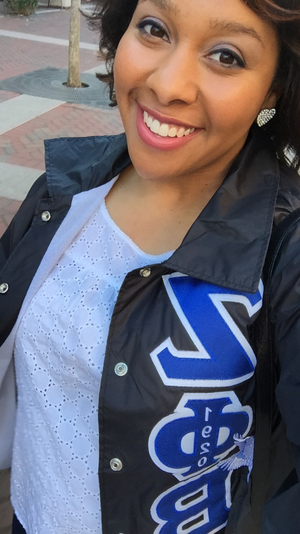 Faith Alexander Senior Psychology, minor in Hispanic studies I chose Zeta because of the sisterhood. This organization is more of an international family. I can go anywhere in the world and find a sister of Zeta that will embrace me as my own biological sister. I wanted to become a Zeta because the principles exemplify what I believe it takes to be successful. What attracted me most to Lambda Mu was how open the sisters were and how you could see that they instilled those principles in their everyday lives. It is rare to find like minded individuals who share similar goals, but have very different personalities; who can still come together to make a great and comforting sisterhood. I saw this in Zeta and that it was something I wanted to be apart of. My name is Khiana Gray Wyatt. I am from Wilson, North Carolina and graduated from Hunt High School in 2012. Currently I am a Senior majoring in Family and Community services with a concentration in early intervention. I was awarded the CDFR scholarship and Vonta Leach scholarship in Spring 2015.I choose to become a Zeta because I value the principles of scholarship and service. 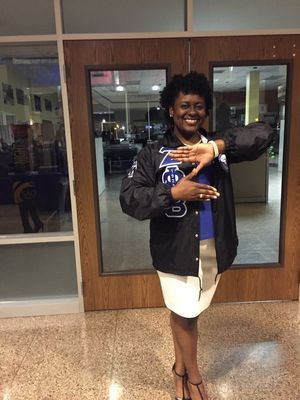 Being a member of Zeta Phi Beta Sorority Incorporated allows me to share my passion with others.Through sisterhood I have shared my passion with them and acquired parts of theirs. 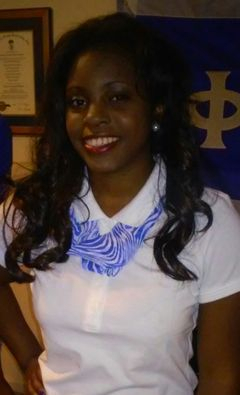 I aspire to become a finer women everyday and with them I know I can accomplish that goal. Hello! My name is Ebbony Hanson. I'm from Tarboro, NC. I'm a junior and an Intended Nursing major. 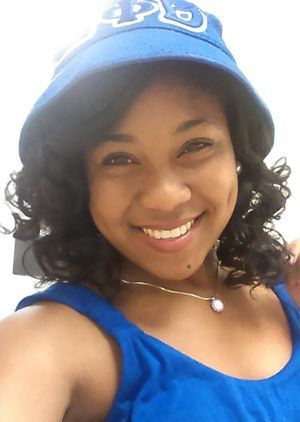 I chose Zeta Phi Beta Sorority Inc. because I saw the impact that Zeta as a whole had on campus and the sisterly love they shared among each other. I wanted to join something that was bigger than myself and that would surround me with finer women that would help and push me to succeed in every way possible. The main principle that drawn me to Zeta was Sisterhood. Having the opportunity to become a member of Zeta Phi Beta Sorority Inc. has served me well and I love the fact that I'm surrounded by wonderful ladies that all bring something different to the table but everyone have all of Zeta's principles in mind. Hello! My name is Iyesha Chin and I am a graduating senior who is to be receiving a Bachelor of Arts Degree in Psychology this Spring. 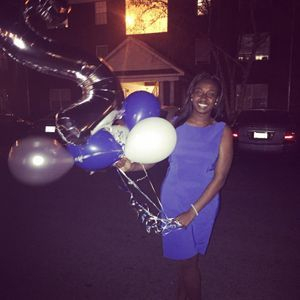 I am a Resident Advisor at Fletcher Hall and was graced to become a FINER WOMAN April 7, 2015. In Zeta Land, I have learned to become fearless and independent. I became a Zeta because the principles that Zeta Phi Beta Sorority, Incorporated was founded on Scholarship, Service, Sisterhood, and Finer Womanhood, are what I strive to be daily. Knowing that I have a support system like my sisters, gives me peace of mind and I will forever be thankful to be apart of this organization.